A big THANK YOU goes out to our presenting sponsors, Southland Park & Gaming and The West Memphis Convention and Visitors Bureau. 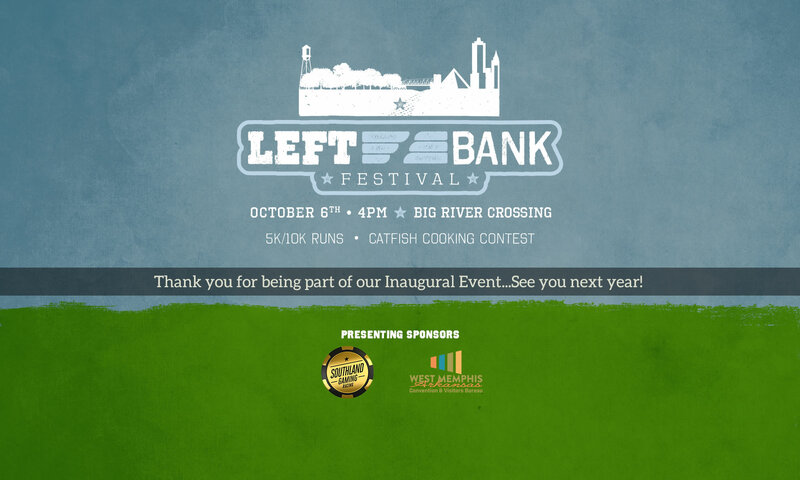 Thanks to all of our sponsors, vendors, runners and volunteers for making the inaugural Left Bank Festival a rousing success. Join ASU Mid-South for the first big event at the Big River Crossing Delta Regional Park. Help us show Memphis why the Left Bank is the right bank of the Mississippi River! The Left Bank Festival supports scholarships for the ASU Mid-South Greyhound Basketball Men’s and Ladies’ student-athletes. The first, so of course, the best festival on the left side of Big River Crossing! Designed to showcase all the wonders of West Memphis and Crittenden County, this festival is the first to celebrate the Left Bank of the unique Big River Crossing and offers family fun while exploring the unique character and charm of Crittenden County. The Left Bank Festival is produced by Arkansas State University in West Memphis and the proceeds will support scholarships for the ASU Mid-South Greyhounds student-athletes. 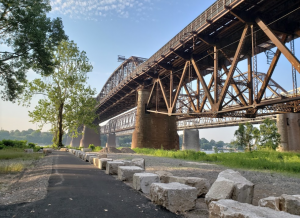 The event features a 5k/10k run along the left bank of the River with food, beer, music and more along the newly designed pavilion landing that welcomes Big River Crossers to the West Memphis area. Come and celebrate with us – You’ll see why we are Left of Memphis, but Right on Everything Else!! A Big Thank You to Southland Gaming and West Memphis Convention & Visitors Bureau! Getting there is fast and easy, and there are many options. If you drive over, take the Bridgeport Road exit from Interstate 55, turn right and follow the signs. Oh, and we’ll have plenty of car parking, too! 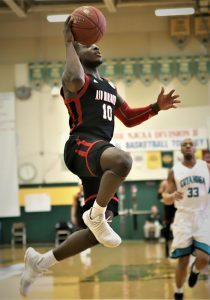 Dee Montgomery goes to the bucket during game 2 of the NJCAA Div II tournament in Danville. The young men’s and women’s Greyhound teams have both grown steadily in strength and wins. But the last two seasons, under the leadership of Athletic Director Christopher Parker, both teams have realized success. In 2016-17, both men’s and women’s programs won their second NJCAA Region 2 titles and sent players to four-year colleges. The men set a new record for wins after going 20-10 while the Lady Greyhounds had their first winning season with a 15-13 record. The 2017-18 season saw the Lady Greyhounds 10-15 against a strong schedule. The Greyhounds men went to their third NJCAA Region 2 Championship in five years, their first NJCAA District XIII Championship, and the their first NJCAA National Tournament where they finished fifth in the nation with the best record (29-6) in school history! If rock ‘n roll was born in Memphis, it was conceived in West Memphis. From Howlin’ Wolf to BB King, Johnny Cash to Elvis, West Memphis was the hot musicians’ hang-out and performance venue for many of rock ‘n roll’s icons. Before they were legends, they were playing West Memphis.